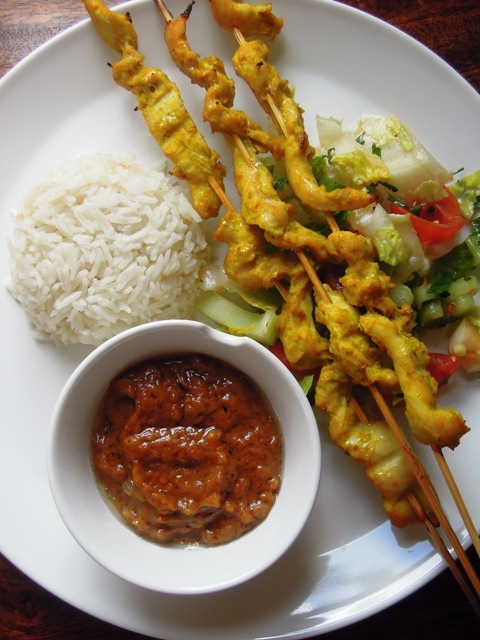 Home made chicken satay and coconut rice? Yum! It doesn’t get more delicious than that….. banana leave or not! Looks like you’ve done a wonderful job! What a lovely dish, I am already thinking of how I can adapt it to a veggie version. I don’t think I could ever get enough satay sticks when I travelled round Malaysia and Singapore back in the heady days of my mid-twenties. Your recipe sounds deliciously bang on, and much more authentic than my own watered down attempts. 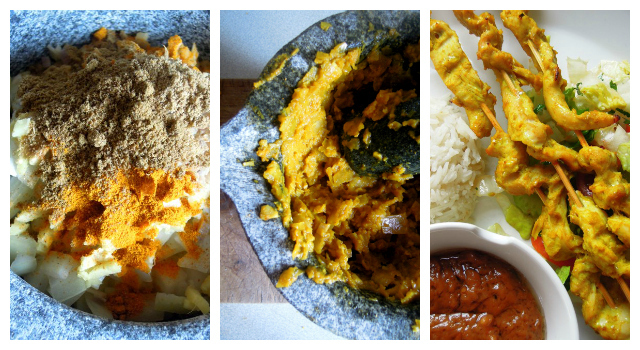 And I’m so going to make your coconut rice too! A lovely Family Foodies entry.